In the past, I have laid out the nature of the debate between what is labelled the new Pauline perspective and the more Reformed tradition (here is the link again). Not only that, but I have frequently posted quotes from N.T. 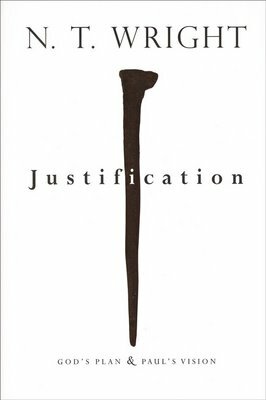 Wright’s well-known work, Justification: God’s Plan & Paul’s Vision. Below is another such quote, an extensive one at that, in which Wright challenges the Reformed tradition, setting the plan and purposes of God within the greater cosmological redemptive reality. This words stir me deeply. Suppose we conduct a thought experiment. Suppose we come to Ephesians first, with Colossians close behind, and decide that we will read Romans, Galatians and the rest in the light of them instead of the other way round. What we will find, straight off, is nothing short of a (very Jewish) cosmic soteriology. God’s plan is “to sum up all things in Christ, things in heaven and things on earth” (Ephesians 1:10; compare Colossians 1:15-20). And we will find, as the means to that plan, God’s rescue both of Jews and Gentiles (Ephesians 1:11-12, 13-14) in and through the redemption provided in Christ and by the Spirit, so that the Jew-plus-Gentile church, equally rescued by grace through faith (Ephesians 2:1-10), and now coming together in a single family (Ephesians 2:11-22), will be Christ’s body for the world (Ephesians 1:15-23), the sign to the principalities and powers of the “many-splendored wisdom of God” (Ephesians 3:10). This is a fabulous summary of the gospel in its greater cosmological context. And the difficult thing is that, as mentioned, this also challenges the great Reformed tradition, which has influenced the whole of evangelical Christianity and our reading of the Pauline corpus. But I believe these words, especially the first set of quoted words, truly lay out the great plan of God Himself to not only redeem humanity in the Messiah, but to renew the whole cosmos. This is good news! This entry was tagged books, gospel, justification, N.T. Wright, new Pauline perspective, quotes. Bookmark the permalink.